So, it’s been a while since I last updated the blog and some things have happened in that time that I feel a need to write about. This will be a bit long, so bear with me. On January 29th, my new gastroenterologist had me undergo a test called Esophageal Manometry. The test is used to measure the functionality of the muscles and lower sphincter of the esophagus and determine if there are issues. The procedure wasn’t the most pleasant of ways to spend a morning. To begin, I was given a cup of lidocaine gel to swallow and then a syringe full of the same gel was emptied into my left nostril. A thin probe was then passed through my nostril and down into my esophagus. I was then placed on an exam table. Once I was as comfortable as I could be, the technician began a series of tests, in which I was given a syringe of saline to swallow. I could only swallow one time and had to focus on my breathing to keep from swallowing again until the tech had finished counting to 10. It was a lot harder than you might think. The process was repeated about 12 times to ensure there were good images for the doctors to analyze. By the time it was over my throat was incredibly sore, as the lidocaine that I was given at the start had worn off quickly. Honestly, it might as well have been water for all the good it did. The results that I received on February 18 confirmed that I am dealing with some motility issues in my esophagus. The nurse practitioner told me that there are a number of different conditions that could be causing the issue, including a rare condition called Achalasia, but since I don’t meet all of the criteria for any one in particular, they can’t say for sure what’s going on. So, in the absence of that cause, the NP went to the old standby and basically told me it was all caused by my being a fat guy with uncontrolled type 1 diabetes. Yep, more patient blaming and shaming from a medical professional. I wish I could have mustered the fiery rebuttal that the situation called for at the time, but was left speechless. Instead, I left the office demoralized and ready to throw the towel in all together. For now, I’m just trying to do what I can to get by. 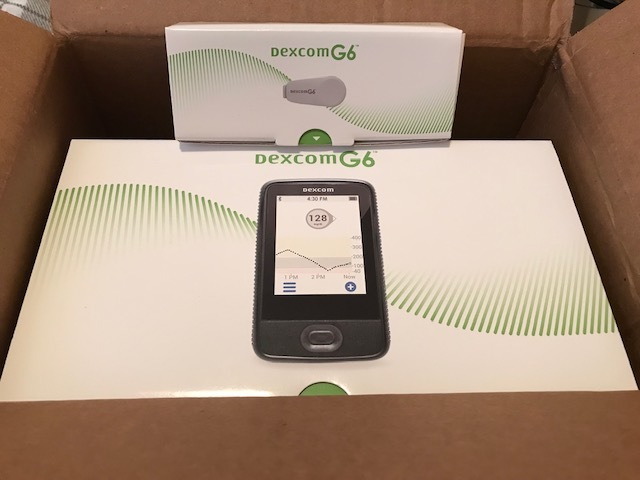 It took more than a month of fighting with my insurance company and Edgepark Medical Supplies, but I was finally approved to upgrade to the Dexcom G6 CGM system at the beginning of February. My starter kit arrived on Feb. 5th. I was a bit confused when the package arrived from Edgepark containing only one G6 transmitter and one box of G6 sensors. I had been accustomed to my G5 orders containing two transmitters at a time, but learned that the supplier only sends one G6 transmitter at a time now. And their was a mix-up with the sensor order that resulted in only one box being sent. That has since been corrected and I now have two new boxes of sensors. The first month with the G6 system has gone fairly well. I’m definitely liking that I don’t have to stick my fingers as much as I had been and the lack of needing to calibrate multiple times a day. And I’m a fan of the lower profile of the sensor and transmitter when it is attached to my body. I’ll share more on all of this at a later time. For now, though, things are going well. I had an appointment with my endocrinologist on March 6th to followup on labs and discuss how things have been going over the last several months. To say that I’ve been struggling with my diabetes management since my gastroparesis diagnosis was confirmed would be an understatement. It’s been one hell of a roller coaster ride, especially since I had to stop taking Trulicity which had worked wonders in helping to lower my blood glucose levels. As expected, my A1C was up this time around. It was 8.4. Considering all of the high numbers that I’ve been seeing, I was expecting something in the 9s. Either way, it is what it is. A number. My Endo and I both took it as an indicator that we should look at making some changes with my medications. So, that’s what we’ve done. 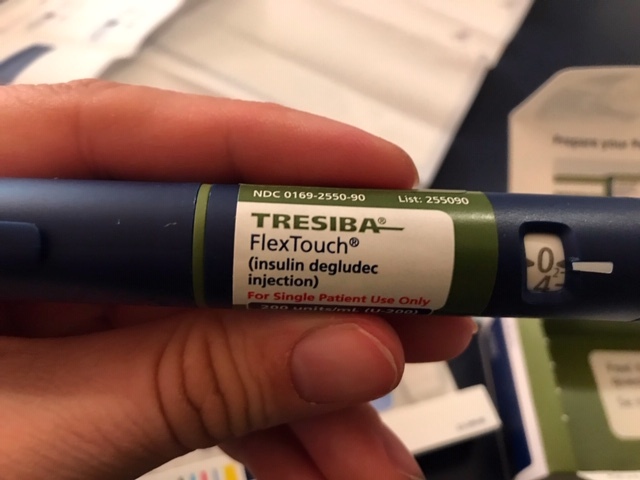 We decided that I would give Tresiba a try for my basal insulin. I’ve used Lantus for a long time and we thought it was time for something newer and more potent. I’ve been on it for about two weeks now and have seen some difference in my numbers. Time will tell if this was a good move or not. We also decided that I since I’ve been dealing with repeated yeast infections while on Farxiga, I would stop using that immediately. 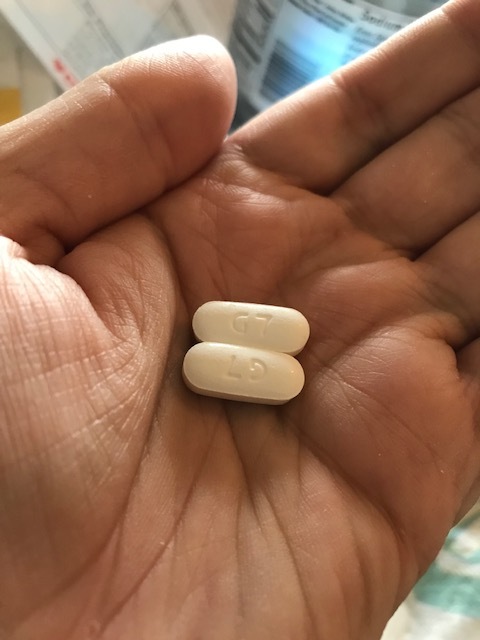 And because of my need for something to help with insulin resistance, I asked about going back to Metformin XR (extended release) for a while to see if it would make a difference. I had some success with Metformin 10 years ago when I was initially diagnosed and felt it worth a try again. My options are limited due to the gastroparesis, so I’m hoping these changes will work for a while. Again, time will tell. There are a lot of exciting things coming up for me in the next few weeks. My 35th birthday is on March 28th and I’m looking forward to celebrating with some local friends on that day, and then going to see Lewis Black on Friday. I managed to secure front-row seats for the show, so it was a nice birthday gift to myself. And then comes the HealtheVoices conference in Dallas, TX on April 12-14. I’m super excited to be able to take part in this wonderful gathering again. Well, that’s about it for now. If you’ve stuck with me this far, I thank you for reading. Until next time, take care and remember that a little heart can do big things. Mike, I am so sad that I was not selected for HEV. But I will be watching online and hoping for next year. I hope you have a blast and say hi to my great peeps out there. Rick, I, too, am saddened that you and many others weren’t selected this year. I’m thankful the conference will be available virtually for all to follow. I hope you’re doing well otherwise.